Under the Family Law Act 1995, the Family Law (Divorce) Act 1996 and the Civil Partnership and Certain Rights and Obligations of Cohabitants Act 2010 a court has the power to treat a pension as an asset of a separating couple/civil partners and order that it be divided into whatever shares it considers appropriate. Such an order is known as a pension adjustment order. The court can order that a portion of the pension fund be split and placed into another pension fund in the name of the other spouse/civil partner. The court considers all of the financial resources available before making a pension adjustment order. When a pension adjustment order is granted by a court it is served on the trustees of the spouse’s/civil partner’s pension scheme who make the necessary adjustments to the provisions of the scheme in relation to that particular member. Pension schemes are administered by trustees who are bound to administer the scheme by the terms set out in the trust deed and rules. The trustees are not entitled to alter the terms of the trust and make provision for a person who is outside the scope of the scheme even if the member requests them to do so. What information do I need to get advise on the issue of pensions in my family law matter? The name of each pension scheme of which you or your spouse is a member. The Pensions Authority is the statutory body responsible for regulating pension schemes in Ireland. Should you require additional information regarding Pension Adjustment Order or any area of Financial Planning, please call us on 01 2375500 or email justask@harvestfinancial. Financial planning following a relationship breakdown. The last 20 years have seen a seminal shift in what would have been considered the ‘traditional Irish family unit’. Your client’s financial plan may now need to consider a first and second family. The retirement planning for an individual can be significantly more complex where a Pension Adjustment Order (PAO) has been granted – it may create a shortfall in retirement funding or a significant Chargeable Excess Tax liability if not properly managed. By identifying and managing the issues an adviser can significantly improve the outcome for those involved. With the considerable erosion in the average wealth of Irish individuals over the last ten years, the pension benefits (retirement and contingent), for many, are often the most valuable asset after the family home. This has resulted in pension benefits becoming more central to financial settlement negotiations in the case of marriage and civil partner breakdowns and in the often overlooked case of a cohabitation relationship ending by death or otherwise. On or after a decree of judicial separation or a decree of divorce for a married person, a decree of dissolution of a registered civil partnership, or the ending of a cohabitation relationship, the pension benefits are dealt with and distributed under the terms of Pension Adjustment Orders (PAOs) pursuant to Section 12 of the Family Law Act 1995 or pursuant to Section 17 of the Family Law (Divorce) Act 1996. Pension benefits cannot be shared out without a Court Order. The legislation provides the framework for splitting pension benefits. It does not provide the solution for distributing the pension. The splitting of pension benefits is complex in nature due to the variety of pension benefit structures that exist. Proper financial advice will help your client to understand the value of the pension benefits, both before and after any settlement is made. Like any asset of a dispute, it is important for your clients to obtain all the up-to-date information on the pension benefits. 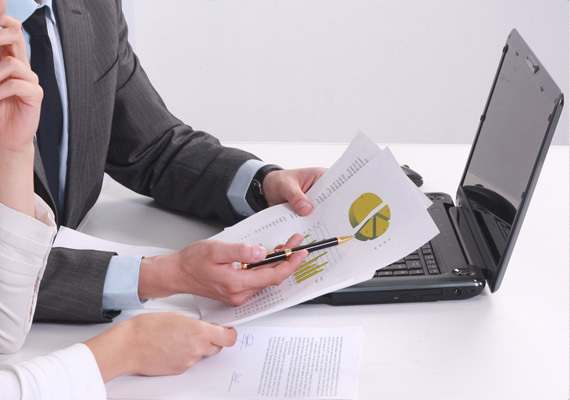 You, as the adviser, should ensure that all documentation, along with the most recent benefit statement, is obtained. You should also inform your client that persons who apply for a Pension Adjustment Order must give notice to the trustees of the relevant pension. Where both parties agree to disregard the pension benefits or to ensure that neither party has an interest in the pension benefits of the other, a Nominal Pension Adjustment Order (or Nil Pension Adjustment Order) must be sought. This should grant designated retirement benefits worth zero where two dates are chosen covering a period of 24 hours and a percentage of 0.001%. PAOs made in respect of death in service benefits are referred to as contingent benefit orders and specify the relevant percentage of the contingent benefit to be payable to the beneficiary. If the pension benefit contains provision for contingent benefits, a separate PAO can be obtained. An application for contingent benefits must be made within one year of the granting of a decree and it may not be changed at a later date. PAOs can also contain a clause to remove the right of both parties to revisit and vary the initial order where there is a change of circumstances for either spouse. An adviser should also inform their client that it is important to ensure that the appropriate clause (12(26) or 17(26)) is in the PAO to protect the pension benefits. The fact that the retirement benefits are typically deferred to a date sometime in the future, rather than being immediately available, is a factor that adds to the complexity of PAOs. Once the Order is granted, consideration must be given to how your client would like their retirement benefit to be managed going forward. The default position for the beneficiary is to retain the designated retirement benefit within the existing scheme (‘earmarking’) or, alternatively, the beneficiary can request that an independent benefit is established (‘splitting’). The existing scheme may be a self-directed or one member executive pension plan where the member has control over the investment Critically the risk rating of the investments may not match that of the beneficiary. A PRSA (note that the ‘15 year rule’ does not apply to these retirement benefits on transfer and that a Certificate of Benefit Comparison is not required). Where the designated retirement benefit is earmarked, the timing of accessing the retirement benefits under the PAO by the beneficiary (non-member) will be decided by when the member decides to take their retirement benefits. The beneficiary of a PAO is independently entitled at the member’s retirement to the same retirement options as the member in respect of the beneficiary’s retirement benefit. The beneficiary can independently choose how the beneficiary wishes to access his/her retirement benefits e.g. where an occupational pension scheme provides the Approved Retirement Fund (ARF) option the member may choose the ‘traditional benefit option’ i.e. lump sum within Revenue limits and use the balance to purchase an annuity, while the beneficiary may exercise the ARF option in respect of their share of the pension fund. Where the fund is split, and the designated retirement benefit is transferred out to a pension arrangement in the name of the beneficiary, the beneficiary can decide when to take the retirement benefits. The beneficiary can generally access the retirement benefits in the new arrangement at the earliest time the member can access his or her benefits e.g. age 50 for retirement benefits transferred from an occupational pension scheme. Your client can choose how he/she wishes to access their retirement benefits e.g. lump sum, ARF or annuity. The retirement lump sum paid to each party under the terms of the PAO is treated as a separate lump sum. This means the tax-free limit of €200,000 applies individually and the extent to which a party is charged the Standard Chargeable Amount i.e. the portion of the lump sum in excess of €200,000 which is subject to income tax under Case IV of Schedule D is based on the amount of the lump sum paid to that party. Until 31st December 2014, for the purpose of the Threshold limits and calculating any Chargeable Excess Tax (CET), the existence of a PAO is treated as never having been made. This means that for the purpose of calculating the chargeable excess tax the member against whom the PAO has been made is assumed to take all the retirement benefits, including those taken by the beneficiary of the PAO and the beneficiary is not treated as having received the retirement benefits received under the PAO. With effect from 1st January 2015, chargeable excess tax arising must be apportioned by the administrator of the pension arrangement, having regard to the terms of the PAO, so that both the member and the beneficiary share the tax charge. The liability follows them to wherever their transfer values have been paid. PRSA must be determined by the administrator of the executive pension plan. i.e. member will have a CET liability of €155,555 ((€700k*40%)*(€1.5m/€2.7m)) and the beneficiary’s CET liability will be €124,445. The practicalities of tracking the current value of the benefits of beneficiaries for retiring clients or at BCE, where transfers have been taken under PAOs, will be a challenge for advisers and administrators, especially where there has been acrimony! Where an individual has drawn down their retirement benefits and has transferred their retirement benefits to an ARF, the transfer from an ARF or AMRF into another ARF/AMRF in the name of an ex-spouse or civil partner in exercise of rights under a PAO will not be regarded by the Revenue as a distribution from the transferring ARF/AMRF. Similar treatment will also apply where a transfer occurs in exercise of rights under a Property Adjustment Order. In both scenarios the beneficiary may open an ARF/AMRF to facilitate the transfer notwithstanding that the beneficiary may not, strictly speaking, have that option under the legislation. Transfers of assets between spouses whether by way of gift or inheritance are exempt from Capital Acquisitions Tax (CAT). Separation does not affect this exemption but divorce does. Own Life in Trust – the party making maintenance payments effects a single life term assurance plan. The beneficiaries are subject to inheritance tax on receipt of the sum assured. Where the ex-spouse is the beneficiary, they are entitled to the ‘strangers’ CAT threshold. Life of Another – the party receiving the maintenance payments (proposer/policy owner) effects a single life term assurance plan on the life of the ex-spouse. On death the sum assured will be paid directly to the proposer/policy owner. If the policy was set up in line with the Separation Agreement, the life covered can pay the premium but the ex-spouse will not be subject to Inheritance Tax on the policy proceeds. Financial planning for clients who have experienced a relationship breakdown can be complex but the right advice will ensure that both parties continue to plan for a secure and comfortable retirement. What each side in a PAO needs is good financial advice! This marketing information has been provided for discussion purposes only. It is not advice and does not take into account the investment needs and objectives, financial position, risk attitude, liquidity needs, capital security needs and/or capacity for loss of any particular person. It should not be relied upon to make investment decisions.